Need Drug tests in bulk? - Look for our volume pricing or call our office at 888-863-1112. 10 - 24 $0.76 ea. $7.19 ea. 25 - 99 $3.20 ea. $4.75 ea. 100 - 499 $3.50 ea. $4.45 ea. 500 - 799 $4.96 ea. $2.99 ea. 800 or more $5.05 ea. $2.90 ea. 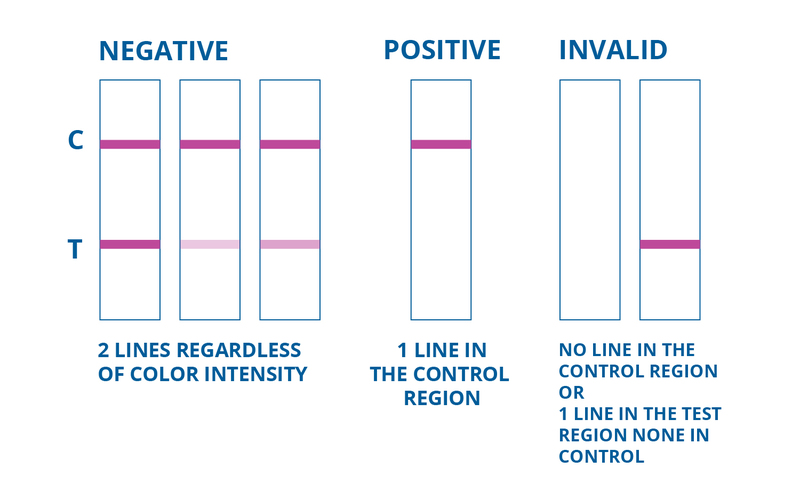 The Panel 10 Drug Test Card is one of the most popular on-site urine testing kits, and offers an easy and economical way to obtain results for multiple drugs when needed. This 10 panel urinalysis drug testing kit serves results in less than five minutes and has an extended shelf life of 16 - 24 months. All 10 panel drug test are CLIA Waived which is required for the point of care market. Easy to use, fast results and excellent pricing is what defines Medical Disposables 10 Panel drug screen tests. Molly - is considered to be pure MDMA, unlike Ecstasy, which generally is laced with other ingredients, such as caffeine or methamphetamine. Molly can lead to hospitalization and/or death for three main reasons, including hyperthermia and dehydration, fatal mixes of molly with other drugs, and overdose. Oxycodone & Amphetamines – This test is different since includes these two drugs in the same drug test kit plus the other 8 drugs. Remove the bottom cap from the 10 panel drug test card in submerge the drug test strips in the urine. AVOID passing the arrow when submerging the 10 panel drug test card since this can flood the test and invalidate the drug test card. Thank you for excellent service. We use this product in our PET lab with excellent results.